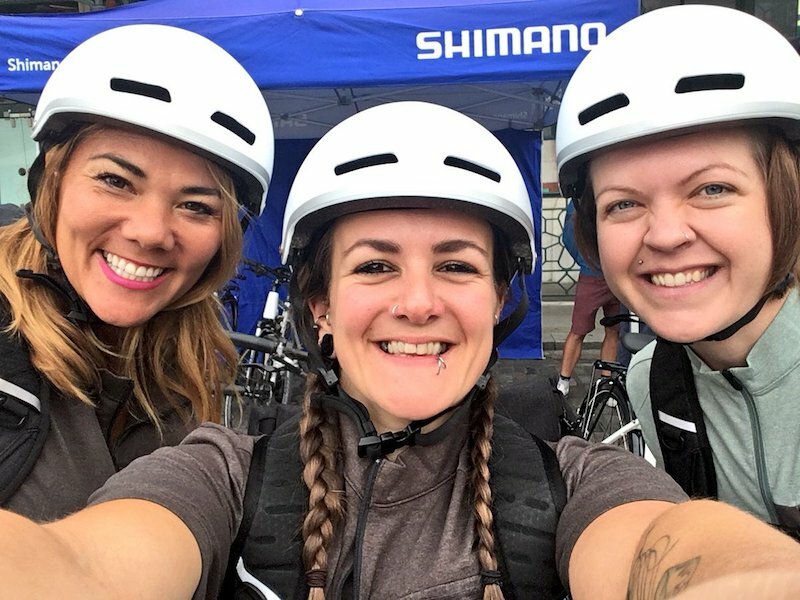 L to R: Lucy from PaddlePedalPace, me and Michelle from RideOn. A couple of years ago on my (much-missed) three mile EW cycle commute I used to occasionally get overtaken by people on e-bikes. It was only very occasionally as there weren’t many around then, and it was usually on the nice big hill under the viaduct up to Seven Dials in Brighton that they’d saunter past me whilst I puffed and pushed my way to the top. I used to swear in my head at these people as they glided effortlessly into the distance – especially when it was raining. I’ll admit, I was a bit of an e-bike snob. But I’m a changed woman. We’re seeing them more and more on our roads (86% of e-bike sales), and on our trails (14% e-mtb) – with market imports growing by 90% in 2017. 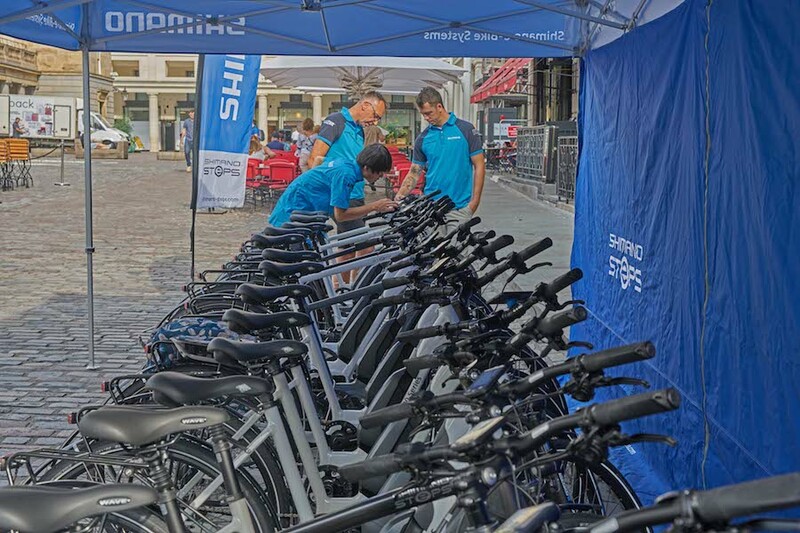 According to stats from Shimano, the biggest e-bike category is city / commuter bikes, and let’s be honest, that’s got real potential to change the world right there. Just imagine if we could get people out of their cars and on bikes to cycle to work? If we could get kids and their parents riding to school instead of driving? According to Sustrans, 11% of short car journeys are under one mile(! ), 29% from under one to under two miles, and 60% are from two to five miles. As a seasoned bike fiend with a lifetime love for the wheels, I find that hard to swallow. I cycle everywhere in and around Brighton, and have done everywhere I’ve lived including Hastings and Birmingham when I went to uni. I’ve never cycled in London before though. Living in my beautiful Brighton bubble means I’m pretty spoilt with amazing seafront and city cycle lanes, winding quiet country roads and rolling hills of the South Downs. 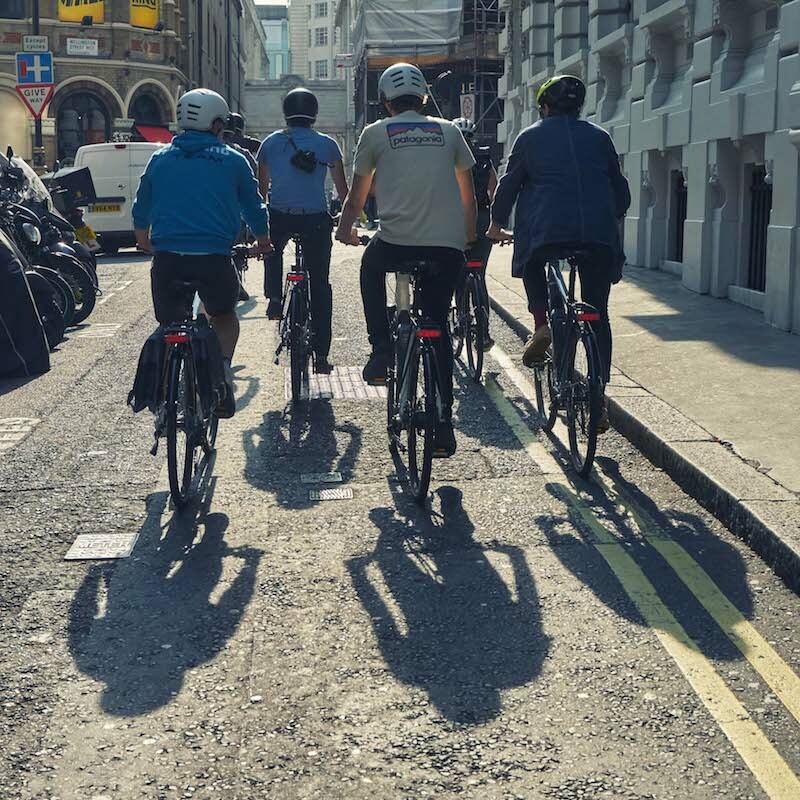 I’ve got the trails at Stanmer and some more flowy singletrack at the Surrey Hills, but I’ve never had the chance – nor have I really wanted to, thanks to the way the media portrays it – have a go at cycling in London. (Again, I’m a changed woman on that front too, btw, it’s really not that bad). We met Shimano at the London Transport Museum to learn about the new e6100 system. 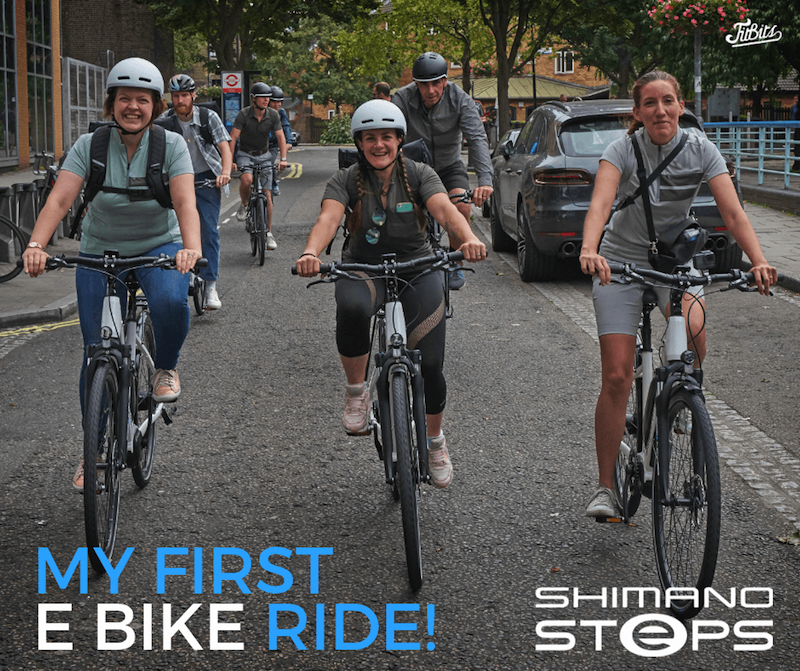 This is the latest premium e bike component system from Shimano, packed with high-tech features including Di2 automatic and electronic shifting which was an absolute game changer for me. 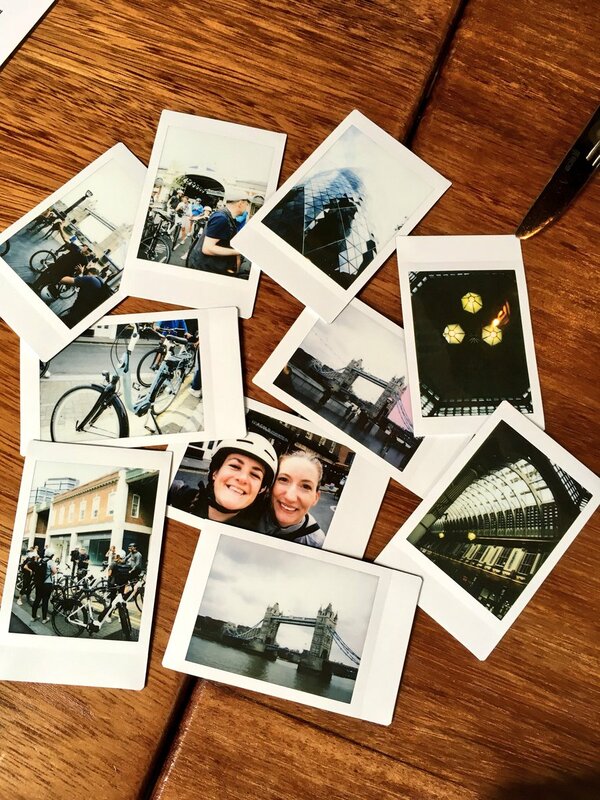 The ride was incredibly smooth and effortless in places – lovely to just cruise around London and enjoy the bike tour without having to worry about what gear we were in. The controls on the bike are easy to manage. You can switch between the different support modes to decide how much assistance you want from the motor (Eco > Normal > High or Off), and if you want to you can override the auto shifting to electronically change gears yourself (which is also soooooo smooth with not a ‘clunk’ to be found, btw). One thing that I really loved was that it had a ‘walk’ mode, so if you find yourself pushing up hill or walking the bike home for whatever reason, you can press ‘walk’ for a bit of a boost on foot too. I rode the bike through all of the support modes including ‘Off’ which is still totally doable so no worries if the battery did run out on you. Not sure it ever would though – apparently it can last upto 170km on a single charge (on Eco mode), and charges to 80% in 2.5hrs for heavy users. Overall the bike was a true dream to ride and it was such a great day. You know what I’m like – put me on a bike and everything’s great, I’m very easily pleased where bikes are involved. 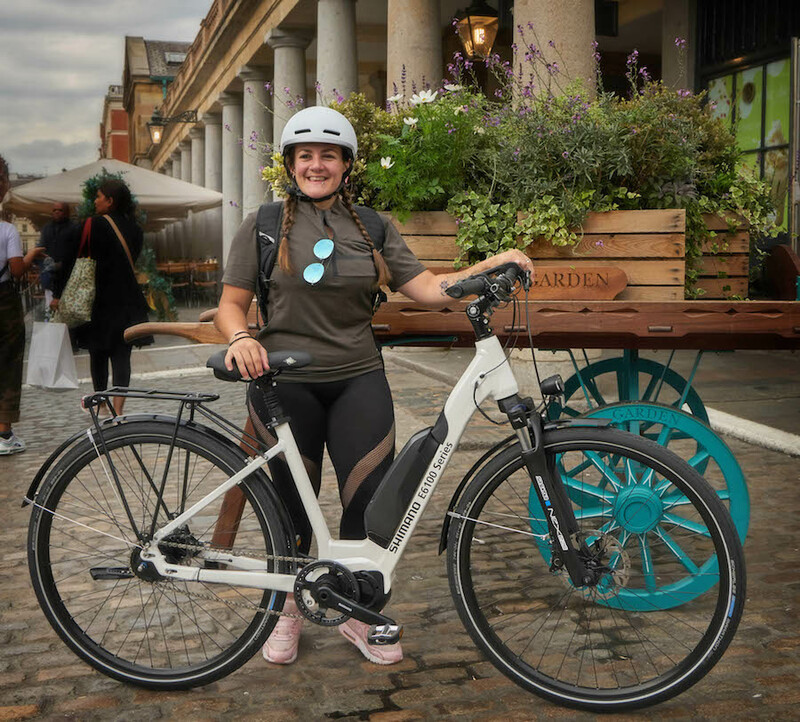 And this was such a fun day out on the wheels – not just because of not having to ‘think’ about cycling a new bike, but because it was my first ever ride in London and it was great to get taken round all the back streets past the best landmarks for a brilliant little tour of our capital. ABSOLUTELY BLOODY LOVED IT basically.